“Low” by Remender and Tocchini created an awesome take on a real apocalyptic event. The Sun’s expansions forced humanity to live undersea for thousands of years while space probes look for any inhabitable planets. Many cities were formed. They fight and hunt giant sea creatures and of course, the occasional human to human altercation is inevitable. This brilliant aquatic sci-fi/fantasy just started. Only on it’s third issue. Get it while it’s hot at Image Comics or your local comic shop. 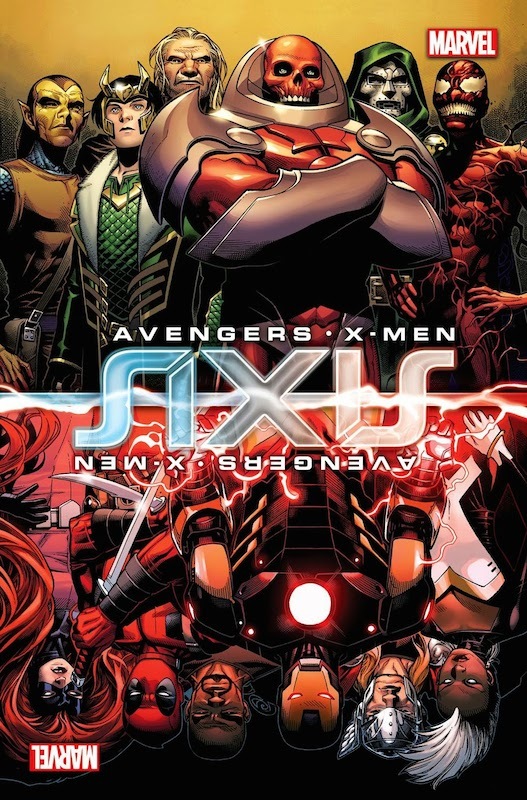 One of the bigger releases this week was AXIS, a new events featuring The Avengers and the X-Men. Written by Rick Remender, the heroes face an even more powerful version of the Red Skull – the Red Onslaught, hell bent on leading the world into World War Hate. It’s very fast paced and features a lot of action, but the best thing about this event is that it’s preceded by a very succinct summary of all the events that led up to it, so you can feel comfortable hopping right into this first issue if you haven’t read the major story arcs in the March to AXIS. Grab it at your local comic book store or digitally at the Marvel Digital Comics Shop.